How does a middle-aged, seasick electrician with no money end up sailing around the world? Dreams have a logic all their own. Some start with a flash of insight or a moment of recklessness. This one started with a handshake. When Yanne’s best friend Carl suggested they sail around the world together, Yanne blamed the wine. Yet, the idea stuck and twenty-four hours later, the two had an iron-clad agreement; a handshake. The little details –buying a boat, learning to sail and saving up money – took five years, but in 2002, the two men left Helsingborg, Sweden on a three year voyage that would change them forever. Storms, tropical deceases, drama, love and comedy – their story is an adventure like no other. 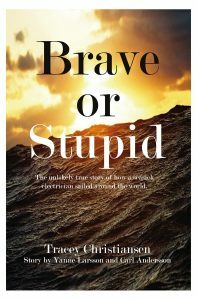 Brave or Stupid is the best book for anyone who has ever gone beyond what is sensible and realistic to discover a whole new world outside and a whole new person inside. 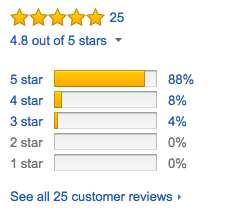 The descriptions are as colourful as they are irreverent and the net effect is a book i just couldn´t put down. an amazing story about a journey around the world filled with bravery, inspiration, going after your dreams, and living life to the fullest. The book is inspirational, entertaining and, above all, shows how determination and hard work leads to success. And, that you can have fun while doing it! I decided to give a copy to every member of the Ecophon management team. These days you will find Yanne at the beautiful Bed and Breakfast place, Rue Galilee, with a top notch restaurant in Marseillan, south of France. Check out Rue Galilee and come talk some circumnavigation sailing in person.